Way as it crashed onto the shore. And if our union was worth the time anymore. To prove his love for me. And forced him underneath to swallow the salt. He struggled to get out. Into the mouth of a beast. 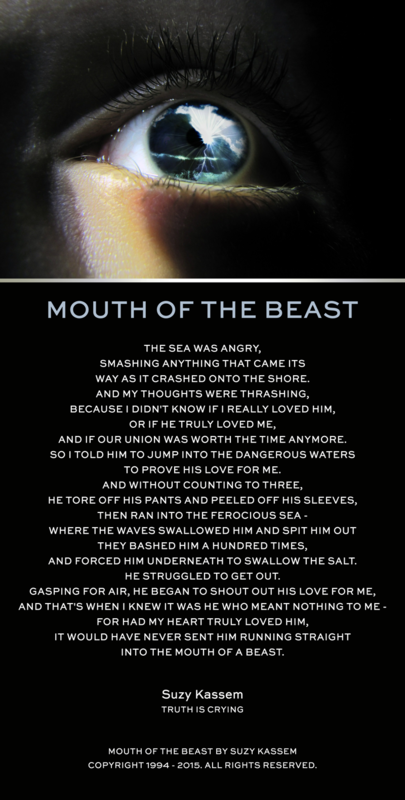 Poetry “MOUTH OF THE BEAST” by Suzy Kassem, Copyright 2008. Shows how much you value the life given to you by the Creator. And this woman is your mother. It will reveal all that it has heard and seen. Is your very own MOTHER. How you treat her is the ultimate test. With simple wisdom, gentleness, and kindness. Is exactly the same as in yours. 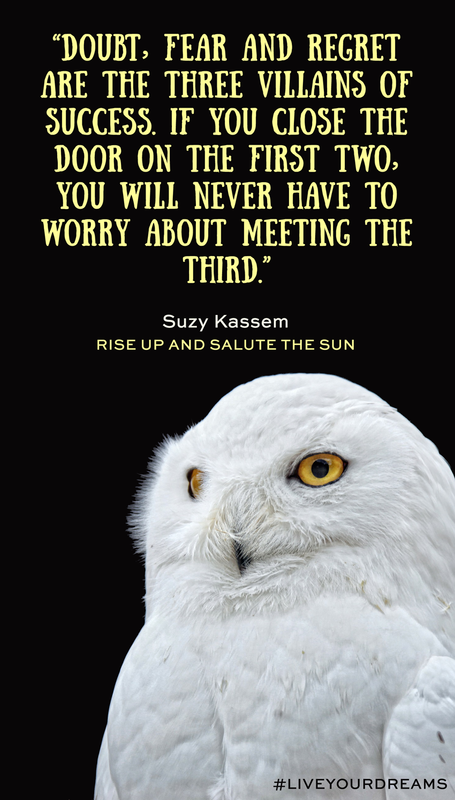 Poetry “KINGDOM OF THE WOMB” by Suzy Kassem, Copyright 1998-2015. Like an Ancient Egyptian collar. Followed by a double stretch of coral. Deeper in color than the Red Sea waters. 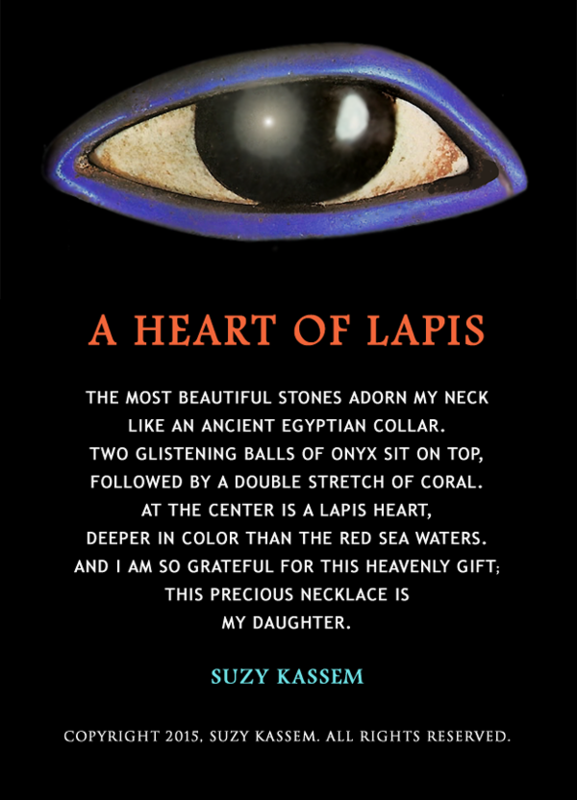 Poetry “A HEART OF LAPIS” by Suzy Kassem, Copyright 2015. 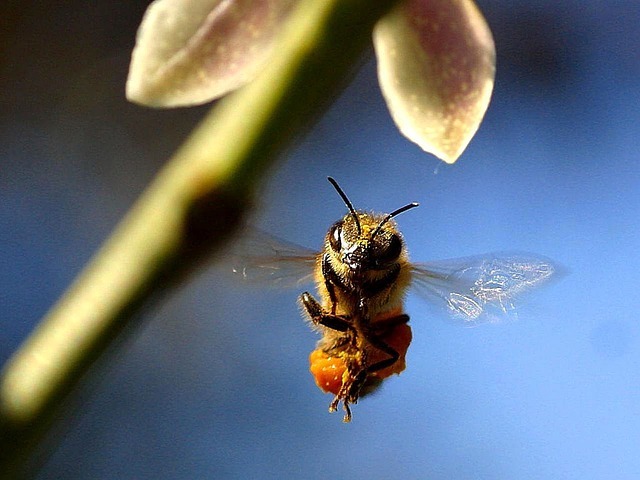 Poetry “THE THREE BEES” by Suzy Kassem, Copyright 2008.